Murray-Ryan budget: John Boehner has had it up to here with these outside groups. Nobody puts Johnny in a corner. Certainly not outside groups. 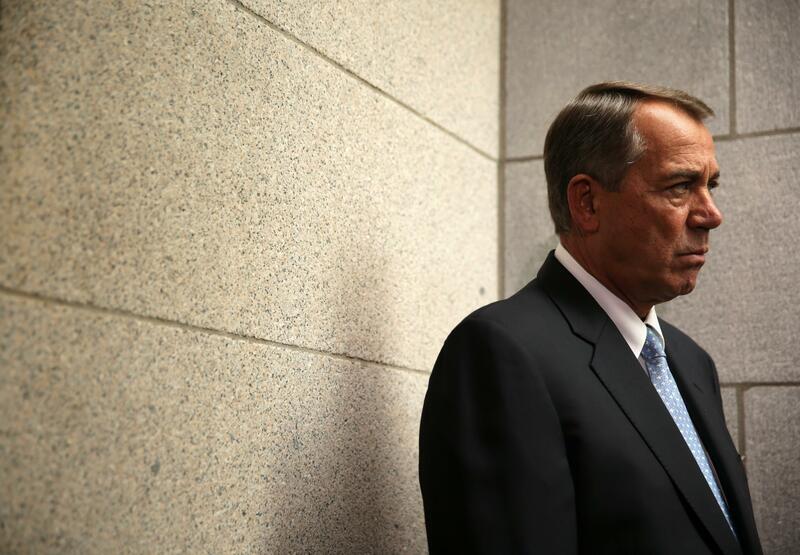 The overall tone at the House GOP’s conference, and in the halls, was of resignation and spin. Republicans were being asked to trust Paul Ryan and agree to a deal that would not cut entitlements, while blowing past the sequestration spending cap. Reporters at the TV camera/mic stands weren’t often asking about sequestration caps. The story was about how Paul Ryan had brokered a deal and got the GOP back to reality. That was the tone, anyway, until CNN asked Boehner to respond to the conservative groups that had pre-condemned the deal. It so happened that eight conservative members of the caucus appeared at an 11 a.m. panel, on the Hill, put on by the Heritage Foundation. These congressmen did not agree with Boehner.